It is with great joy that I utter the words: We are finally getting a new “Predator” movie. Doesn’t that just sound spectacular? And I am not talking about an “Alien vs. Predator” sequel, but a full-pledged “Predator” movie. When I first heard about it, of course I was worried. “Predator” still remains, for me, one of the top action-sci-fi movies ever. I watch it periodically and enjoy it each time as if it were the first time. Later, I found out Robert Rodriguez was involved, and this really got my hopes up and I knew we were in for a treat. Then I heard Nimród Antal was directing. What can I say, having just recently seen “Armored,” directed by Antal, once again, I got the feeling that we were going to finally witness a “Predator” movie in the mold of the original. The first step in the right direction was the name of the movie. Just like the title “Aliens,” the sequel to “Alien,” they have made the title plural: “Predators.” Genius. The movie will be based on a draft Rodriguez wrote many years ago, and just like James Cameron with “Avatar,” he had to shelve it based on its grand-scale size. In Rodriguez’s draft, there’s even a cameo from Arnold Schwarzenegger’s character from the original “Predator.” Will we get an Arnold cameo? Maybe something similar to “Terminator: Salvation?” How excited would you be to see another CGI Arnold? Well, scroll down and check out the trailer for “Predators.” It will defenitely get you talking. It gives an outline of the plot and then cues various action scenes. The trailer explains that a group of elite warriors are mysteriously transported to a forrest world where they are being hunted. As the trailer progresses it spoils the fact that the strangers have figured out what is happening to them and are forced to work together to survive. The movie does have an “interesting” line-up of stars in Alice Braga, Topher Grace, Adrien Brody, Danny Trejo and Laurence Fishburne. So, are you as excited as I am for July 9 to get here? Check out the trailer and then express your feelings on this project at right or in the IJM Forum (http://itsjustmovies.com/forum?vasthtmlaction=viewtopic&t=99.0). yea looks to be interesting. may or may not see it. not the biggest predator fan. 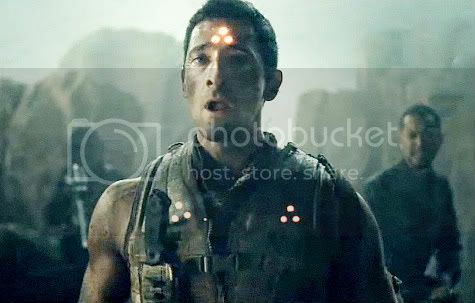 I don’t see how you can’t want to see this movie if you liked the first Predator.I’ve had really high hopes for this movie once I heard RR was involved.And after seeing the trailor,I’m sold on Brody.